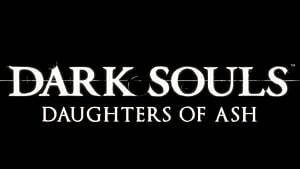 It's official: The long-awaited Dark Souls III DLC, Ashes of Ariandel, will be released October 25, 2016 on PS4, Xbox One, and PC. 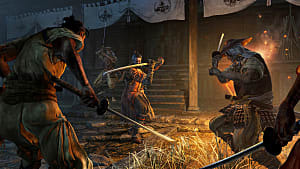 Last month, FromSoftware teased the gaming community with a cryptic trailer, showcasing new bosses, spells, enemies, and environments for fans to get excited about. 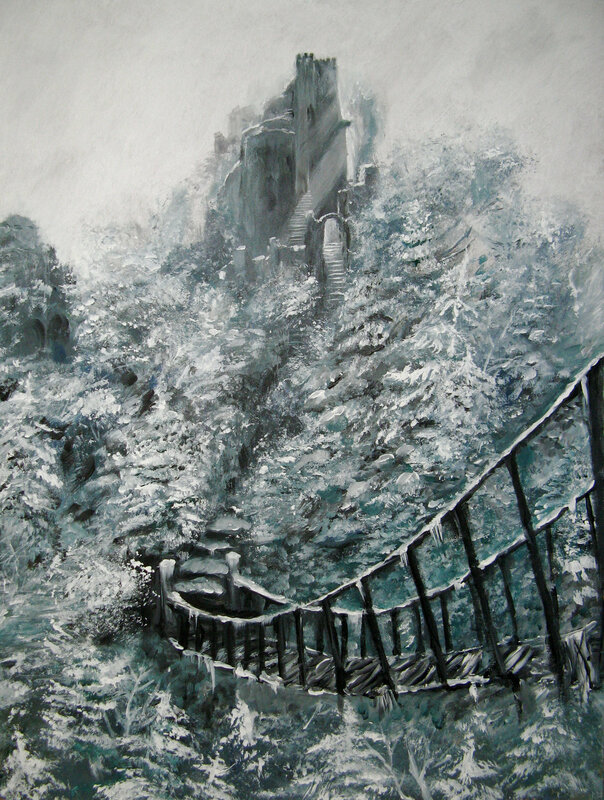 It is undeniable that the new world of Ariandel bears an uncanny resemblance to the Painted World of Ariamis, an optional area in the original Dark Souls that is home to all sorts of unwanted and forsaken creatures -- most notably the worshipers of Velka, the Goddess of Sin. But we'll get to that later. Now for the painting itself: The trailer shows a mysterious child reaching for what appears to be a blank canvas on the wall, which, is reminiscent of the Chosen Undead's entrance into the Painted World of Ariamis in Dark Souls. Also, a hooded man is seen offering the player a scrap of paper, which appears to belong on the same canvas as well. If this is indeed a scrap of the Painting of Ariamis, the player may use it to warp to Ariandel, just like we did with the Painted World. Curiously, the final section of the Ashes of Ariandel trailer doesn't focus on the new content, except a brief action showcase of a new boss. 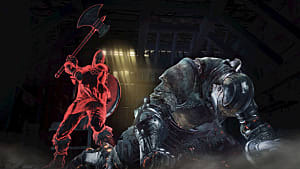 Mostly depicted are four boss fights from the main game. 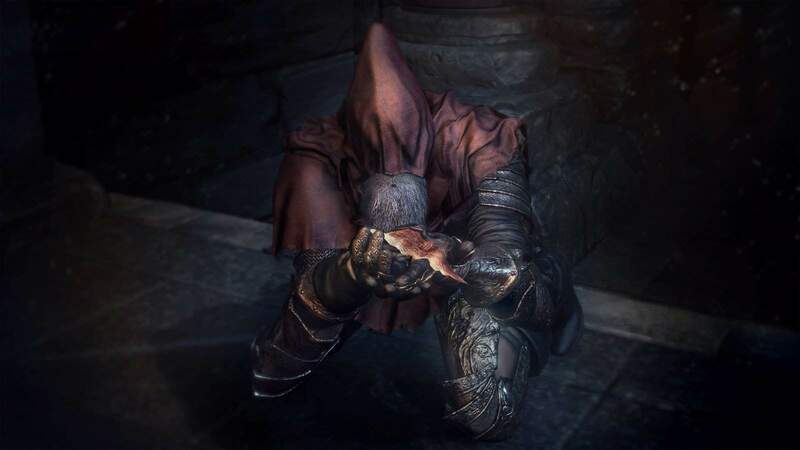 At first, the addition of these battles in the trailer seems like plain ol' filler -- but upon closer inspection, it seems that FromSoftware is hinting at the plot of Ariandel in their typical, sneaky fashion. 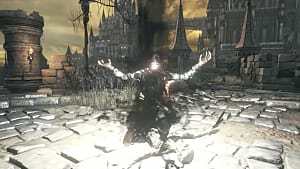 The four bosses depicted in the final section of the trailer are Oceiros, the Nameless King, the twin princes Lorian and Lothric, and Aldrich (who uses the deity Gwyndolin to attack the player). 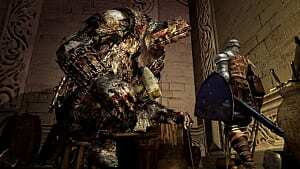 These boss characters all have something in common -- they share a connection to the old gods of Dark Souls. Put on your lore caps, folks, and be advised of spoilers in the next paragraph. 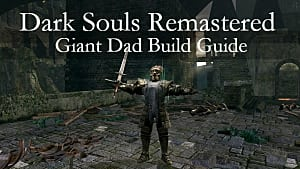 You may want to skip along if you have not yet completed Dark Souls III. You have been warned! 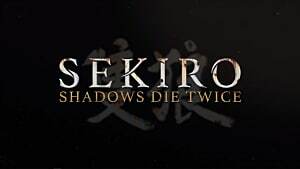 Get ready, because we're about to get deep into some lore to explain how the bosses in the trailer are connected. 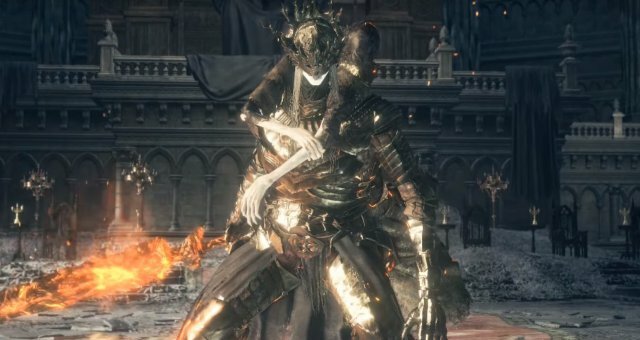 First, King Oceiros married the Queen of Lothric, who is widely believed to be Gwynevere, the Princess of Sunlight and daughter of Gwyn from the original Dark Souls. She eventually gave birth to three children: Lorian, Lothric, and finally Ocelotte, who we never see in the main game. The Nameless King is now known to be the firstborn son of Gwyn, making him The Queen of Lothric's brother. 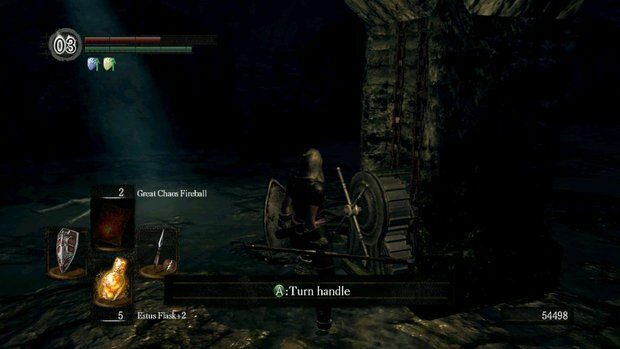 Finally, we learn in Dark Souls that Gwyndolin is also a son of Gwyn. As an aside, it is possible that the child mentioned earlier is Ocelotte. 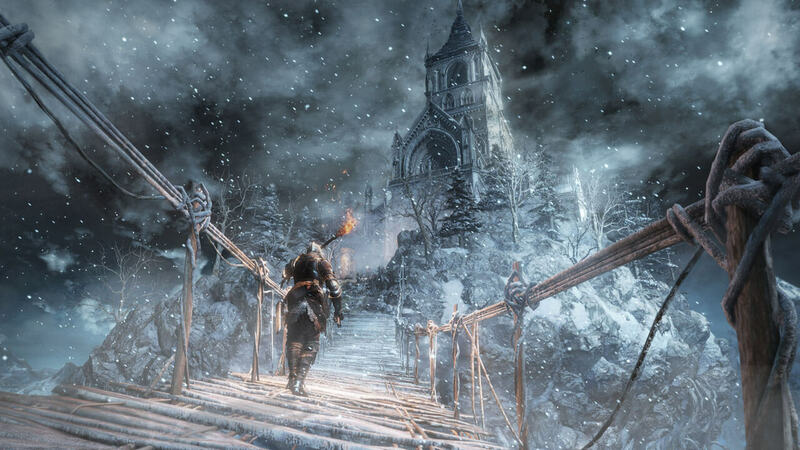 With all of this information at hand, it seems that Ashes of Ariandel is likely to expound on the fate of the old gods and answer burning questions that have been on the minds of Dark Souls fans since the release of its third installment. Only time will tell, but it's very likely that fans of the original game will be in for a treat next month! For fans of the Dark Souls franchise, Velka has been one of the most elusive and mysterious characters since the series began in 2011. The only existing images of her so far have been in the form of statues, and she is always depicted wearing a dark robe, cape, and hood similar to the picture above. 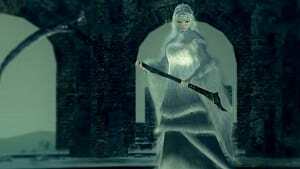 Because Velka is heavily associated with the realm of Ariamis in Dark Souls (and by extension Ariandel), it is safe to say that the woman depicted above is indeed Velka herself. Even more interesting is the possibility that the new boss shown in the trailer may actually be Velka in the flesh. Velka has always been deeply associated with crows, and it appears that the new boss is female and wears a multitude of crow feathers over her armor. Furthermore, the trailer depicts this creature self-flagellating early on, which historically represents self-atonement for one's sins. The connections to Velka are too strong to ignore, and it's very likely that gamers will finally have a chance to learn more about this mysterious goddess in Ashes of Ariandel. 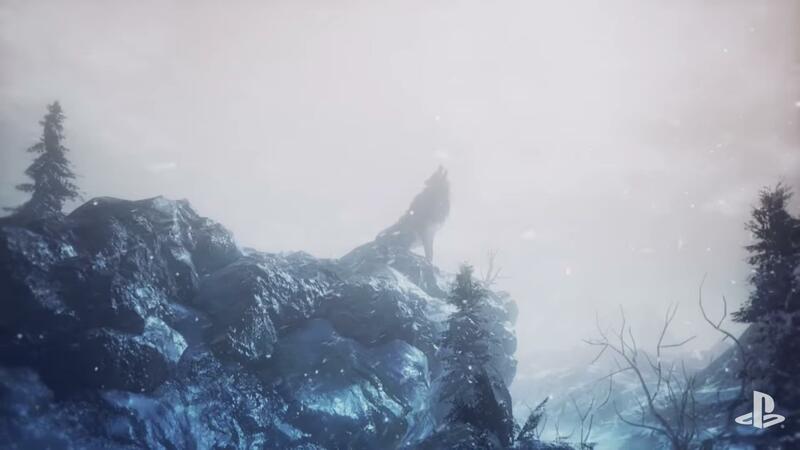 Admittedly, this is wishful thinking without much evidence to support it -- but when the Ashes of Ariandel trailer cut to a massive wolf howling into the sky, my heart went aflutter at the memory of Sif, former companion of the legendary Knight Artorias and subject of a very sad boss fight in the original Dark Souls. To be fair, the wolf in the trailer is huge -- about as big as the pine trees pictured alongside it. The only wolves of that size known to exist in the Dark Souls universe are Sif and the decidedly smaller Wolf of Farron. And as an old friend once said, "The flow of time itself is convoluted, with heroes centuries old phasing in and out." Keep your fingers crossed! What do you think about these insights? Do you agree or disagree? Post a comment below to join the discussion!